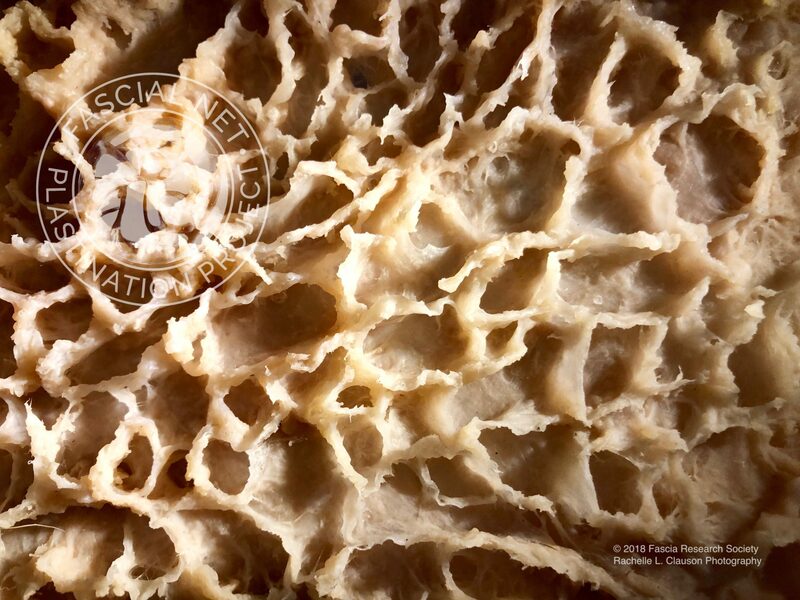 From the Plastination Project: This is the Superficial Fascia / subcutaneous adipose layer of the left side of the abdomen after plastination and gas curing. The specimen was created using blunt dissection (no scalpels were used other than to separate nerves and vessels). The adipose has been completely removed through temperature and chemical processing, normal to plastination, and the remaining fascial architectural patterning was re-established by manually lifting the walls of the honey-comb like structure showing where the adipose used to reside before it went through gas curing making the shape permanent. 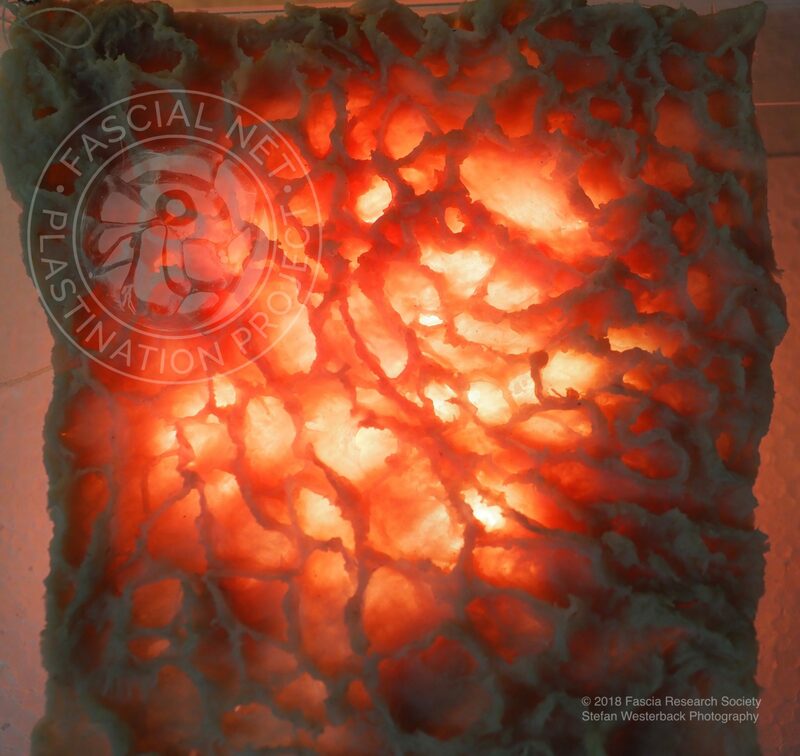 We are grateful to the Fascial Net Plastination Project for their permission to share these images of the superficial fascia of the abdomen.